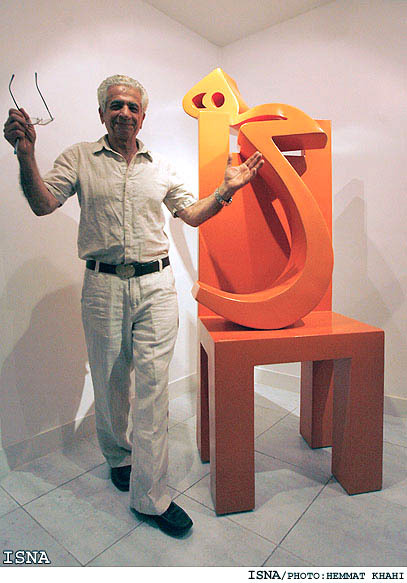 The celebrated Iranian sculptor Parviz Tanavoli, known as the country's first significant modern sculptor, is delighted that his statues of "Heech" (meaning nil in Persian) have received considerable popular acclaim. Tanavoli is holding his solo exhibit "Nil" at Tehran's 10 Gallery opening on June 10. 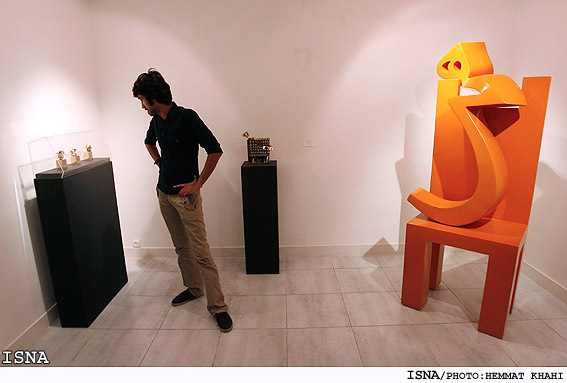 He gave a few details on the formation of the idea of his sculptures of nil in an interview with the Persian service of the Iranian Students NEWS Agency (ISNA) on Wednesday. "If you look back at newspapers published 50 or 60 years ago, you will find out that I had said I would like to fill the entire world with 'heech'. I don't know how much came true, but I am happy my statues have found ways into people's homes. "The idea of making 'heech' was initiated during the time when galleries used to sell second-hand Western products and used to exhibit works by artists who were proud of their Western-styled creations. "A few calligraphers also in those years used to do calligraphy work on large canvases, claiming they were doing paintings. All these caused me to reach an intellectual objection, and I finally thought of choosing a word to show its beauty. I actually liked adding a dimension to the words. 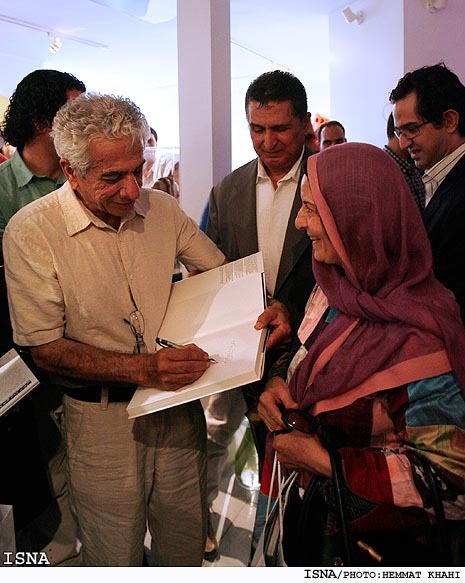 "The rich culture of Iran is hidden in poetry, but poetry itself has no dimension. I liked the idea of replacing it with sculpture instead. "I always believed 'heech' should be made in the land of Khayyam and I am happy this came true after all these decades. 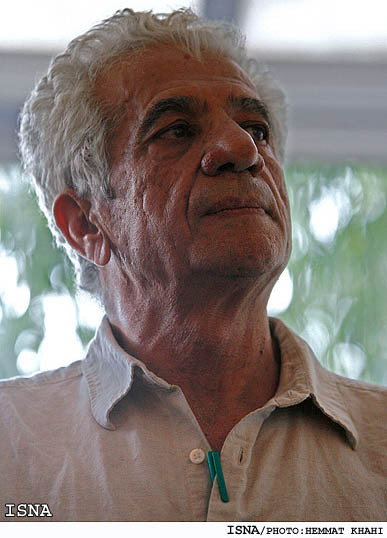 Tanavoli feels that his statues of "heech" are symbols and signs of life in Iranian mysticism and do not bear any relationship with despair and hopelessness. "I did my job and I see people are interested in the statues. Perhaps this is my greatest legacy that my statues are popular among people," he added. On the material he is using for his works, he explained, "Bronze shows beauty and solidity, but is colorless, while fiberglass provides the color. Bronze is also expensive but fiberglass is not and can be easily used in open-air areas across the city. But I can never make a heech out of stone since it breaks easily." On his idea of holding an exhibition, he said, "I think as long as we have nothing new to display, we need not hold an exhibit. 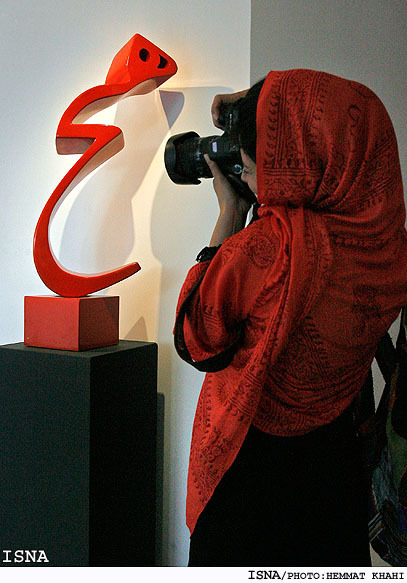 My last good exhibit was almost nine years ago at the Tehran Museum of Contemporary Art. 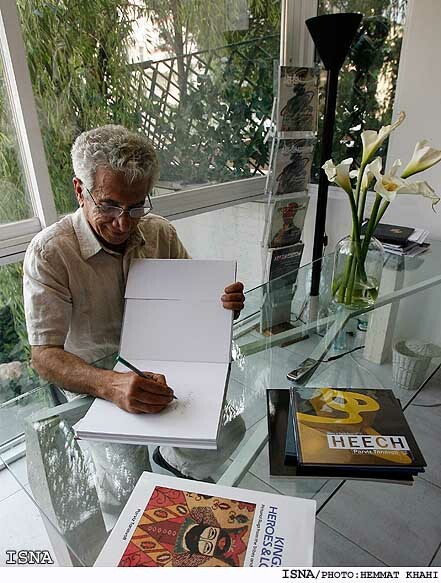 "But this one is not actually an exhibit, the main reason for it is to introduce the book I have published on my series of 'heech'," he concluded. The exhibit will be running until June 23 at the gallery located on Riahipur Alley, Niru-ye Entezami St., Khoddami St., near Vanak Square.